First Listen: The Weeknd, 'Kiss Land' Abel Tesfaye delivers his jaded lyrics with such tension, and surrounds them with such heartless machinery, that the listener can't help but feel a little trapped in his matrix. 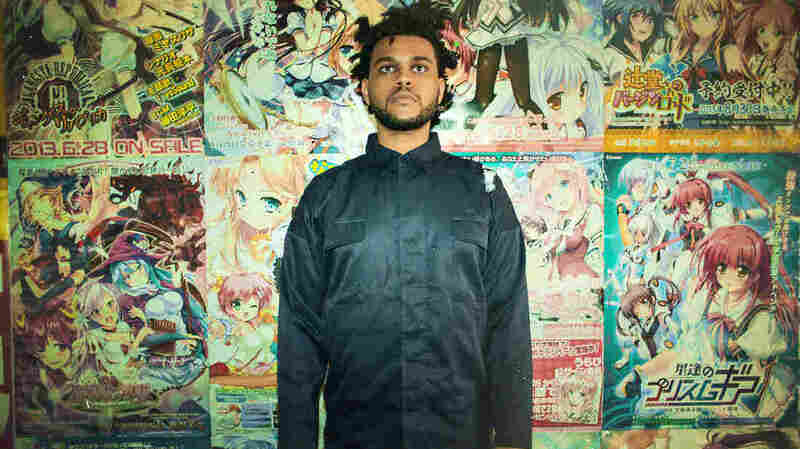 The Weeknd's new album Kiss Land will be released on Sept. 10. After his first songs appeared on the Internet in late 2010, The Weeknd's Abel Tesfaye slowly crept under the sheets between Drake's brokenhearted bravado and the confessional cynicism of Frank Ocean with a series of free mixtapes of increasingly dark, brooding pop. He was the hermit gone wild, a lonely boy from Toronto with Michael Jackson's fragile tenor and a hard drive full of Portishead B-sides who suddenly had his pick of worldly women, but quickly became disillusioned by the paradox of choice. Tesfaye's new album, Kiss Land, is a glass-clad monolith to his jaded misogynist fantasies and melodramatic jet-setting, fascinating for both its futurist sonic template and its emotionally stunted hypersexuality. From the album's first line ("It's ideal, you need someone to tell you how to feel") to its last ("She forgot the good things about me / She let it slip away"), an overwhelming sense of hopelessness and dissociation sets in. Tesfaye's delicate voice, often breaking into a desperate whimper, constantly echoes off towering synthetic minor chords and spare, hydraulic drum patterns. He is truly lost in the machine. More than any of his contemporaries, Tesfaye personifies the anxiety, narcissism and ironic disconnect of the digital generation. His version of modern love is no fun; it's one built around blame, numbing overindulgence and cold sexual transaction. It's telling when the marquee Drake guest spot halfway through the album feels jarring and disruptive for its champagne-toasting banality. There is very little nostalgia or perspective here, just a claustrophobic sense of someone bewildered by access. Every song explores this theme, the lyrics reading like a series of unrequited sexts, and Tesfaye delivers them with such tension — and surrounds them with such heartless machinery — that the listener can't help but feel a little trapped in his matrix. It is an uneasy feeling, but also genuinely provocative. Everyone is listening; no one is paying attention. With Kiss Land, Tesfaye has created a compelling case for the artistic relevance of current pop music. Compared to the ruling kings and queens of pop — Drake, Ocean, Gaga, Rihanna, Timberlake, Perry, Cyrus, et al — Tesfaye is a downright misanthrope. He is not asking the 14-year-olds who follow him on Twitter to twerk or roar or be like him. He's not even acknowledging them. Kiss Land is his manifesto against seeking fame and living your dreams. Whether the somewhat contemptible character speaking in these songs is Tesfaye or a figment of his imagination, it's at least poignant, and it's not easy listening.